European SMEs encompass a large and heterogeneous group accounting for up to 99 per cent of enterprises according to some. It is therefore uneasy to pinpoint precisely a typical SME, especially in today’s changing world (1). What remains certain is that financial (and non-financial) information are essential to business, including for SMEs (2). 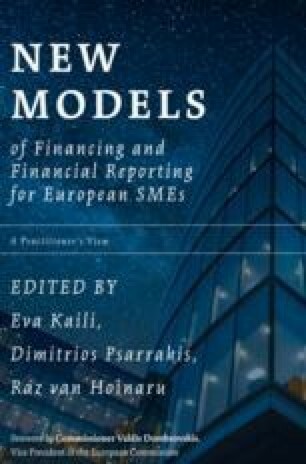 It is important that corporate reporting evolves with changing circumstances, needs and technologies—this is why Accountancy Europe is engaged in a project on the future of corporate reporting (3); this project already helped identify some recommendations for policymakers (4). Change is a collective responsibility and we also see necessary evolutions in the accountancy profession (5). Technology and digitalisation have invaded our day-to-day social and professional life. However, contrary to purely technical skills that machines handle quite easily, emotional intelligence, soft skills, and ethical and moral values, which underpin the judgement of experienced professionals, still look irreplaceable, at least for the time being. This chapter presents at its core a set of recommendations for policymakers. SME disclosures should evolve in accordance with stakeholders’ needs and developments in new technologies, focusing on values and outcomes that surpass the tick-the-box mindset resulting from prescriptive requirements.